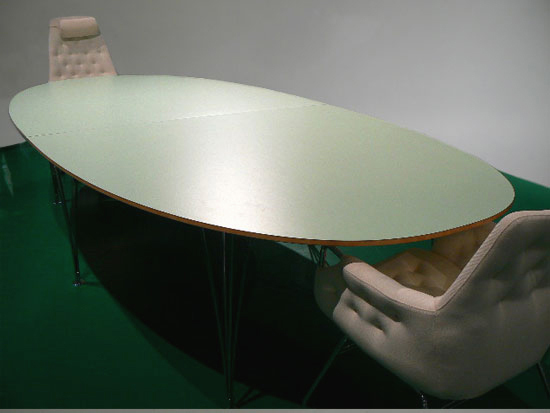 Bruno Mathsson/ Piet Hein for Bruno Mathsson Int. ¨Superelips¨. 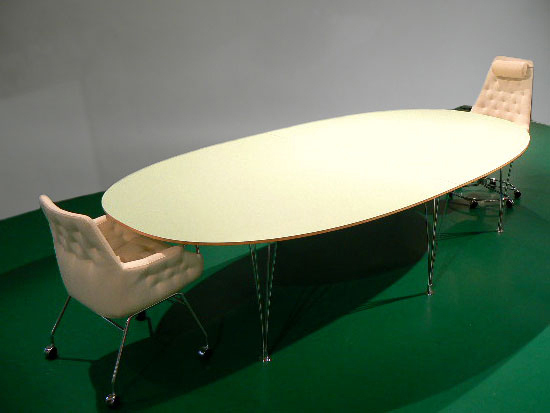 Conference table in laminated beech with a unique mint green colour on six steel legs. New from production. 130x360x72 cm.